Nett, Joseph A. - Groelle & Salmon P.A. 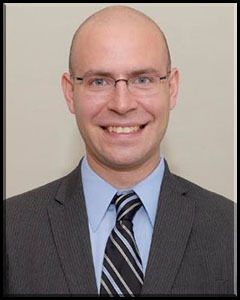 Mr. Nett is an associate attorney who concentrates his practice on insurance defense. He began his legal career in Boston at the Law Offices of Leonardo J. Caruso working on liability cases based on personal injury, workers’ compensation, product liability and legal malpractice matters. Just prior to joining Groelle & Salmon, Mr. Nett worked as a litigation associate at Merritt, Webb, Wilson, & Caruso, PLLC in Durham, NC where he handled cases covering a wide range of practice areas including property damage, breach of contract, and toxic tort. Mr. Nett is licensed to practice in all state courts of Massachusetts, New York, and North Carolina. In 2017, Mr. Nett was selected to be on the Board of Directors for the Young Lawyers Division of the Massachusetts Bar Association. College of the Holy Cross B.A.